An example of upgrading a window presented at Denkmal in Leipzig, November 2008. The new and thin thermal insulating glass pane which is only 10 mm thick with a devision of 4 mm (3-4-3) was installed in the interior sash of the window. 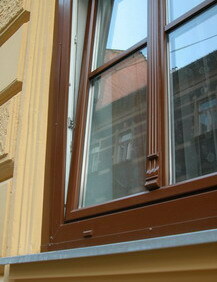 The new glazing does not disturb the appearance of the antique window and is almost invisible. 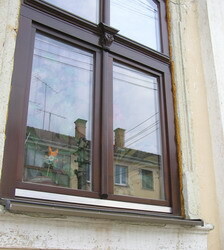 After its installation the window has an U = 1.1 W/m2K. 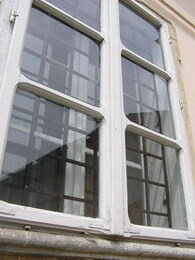 It is a window reproduced after the original one with preserving the original ironwork. 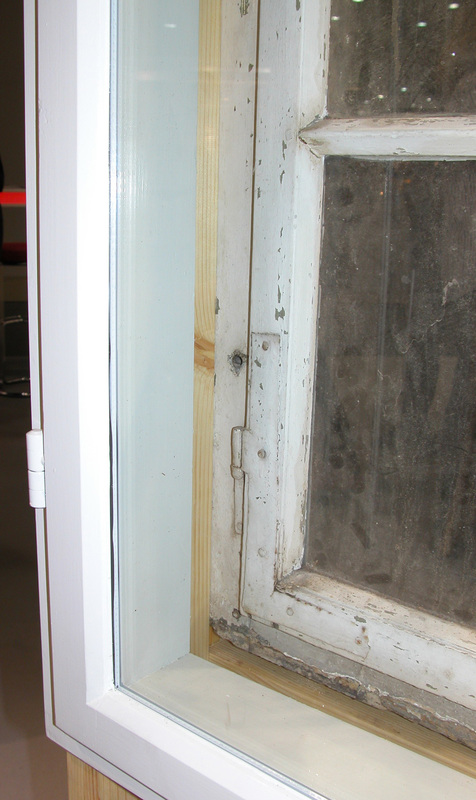 The only drawback it has is that PU foam was used for sealing the gap between the wall and the window instead of natural fibre. 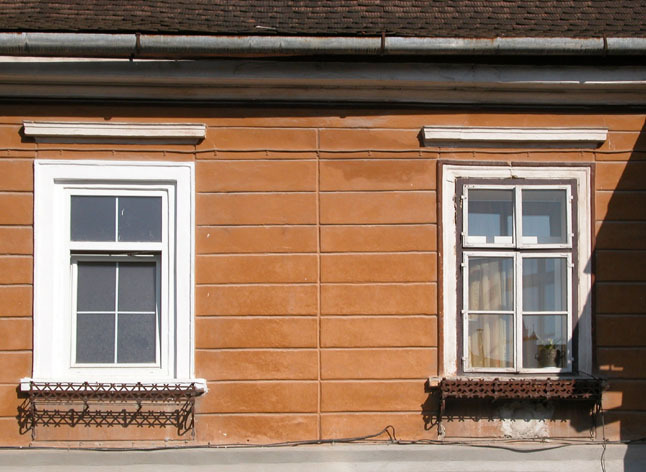 Original windows and replaced windows on the same house. 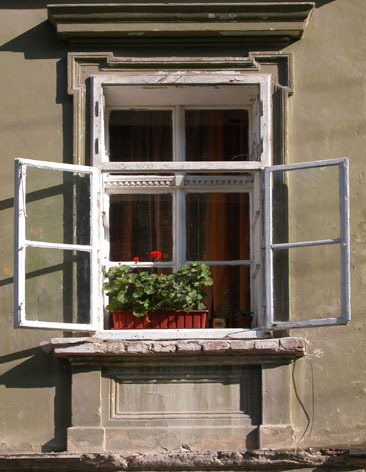 Much of the character of the age is lost when windows are replaced with modern versions, that lack these features. 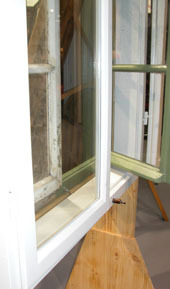 The originally side-hung window was replaced for this bottom hung one. 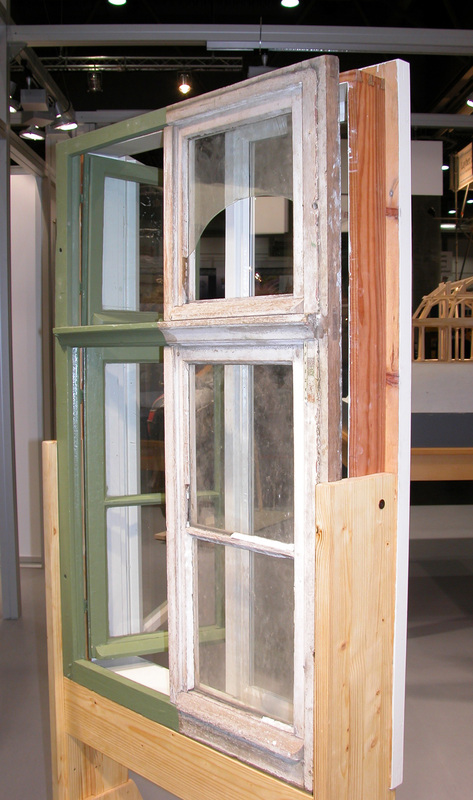 The original elements of the window turned into meaningless applications now. 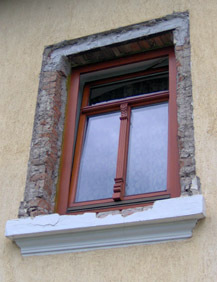 The new window is leaning inward. 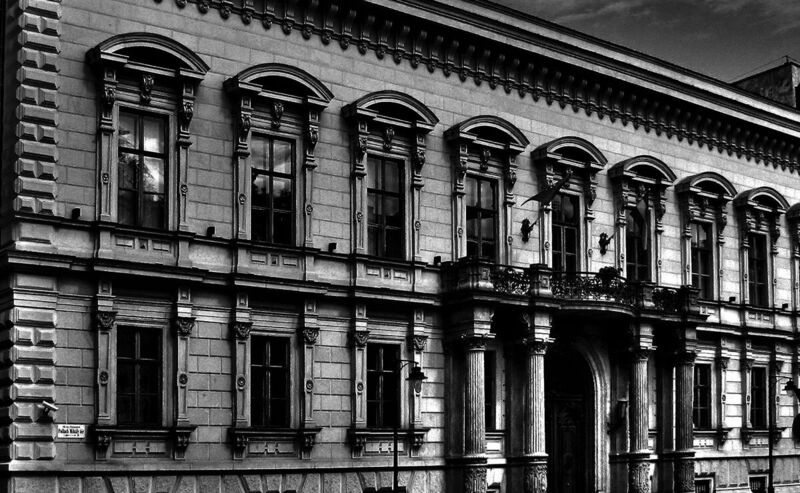 All this makes the building itself look like a poor imitation. 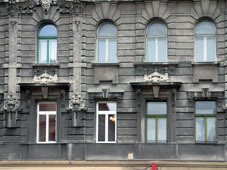 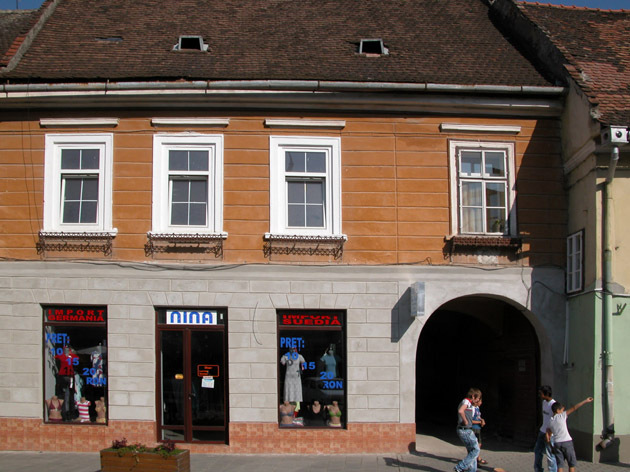 Bad example: A residental building in Budapest (Rákoczi Street) with its original and replaced windows. 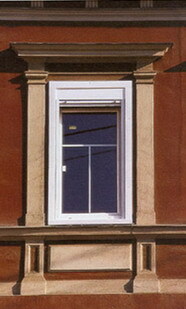 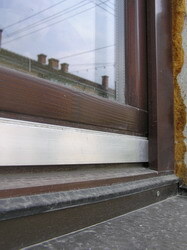 Bad examples: window profiles rounded off after assembly. 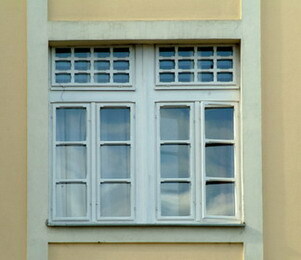 Visible at the corners. 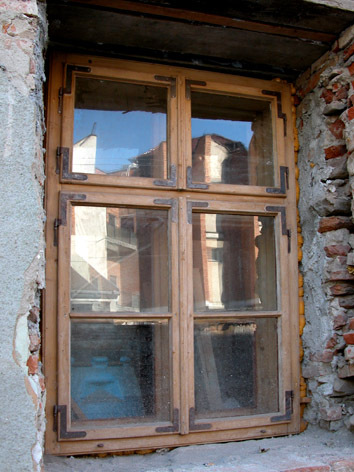 The weather board is missing. 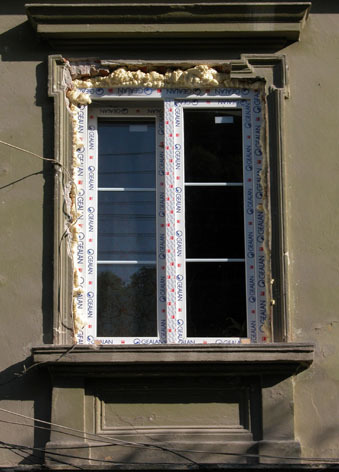 When installing wooden windows the application of polyurethane (PU) foam is not recommended at all as vapour condenses on its surface which in turn demages the wood itself. 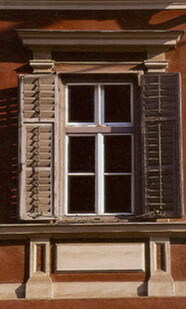 The original Barocque-style window has been replaced for a plastic window. 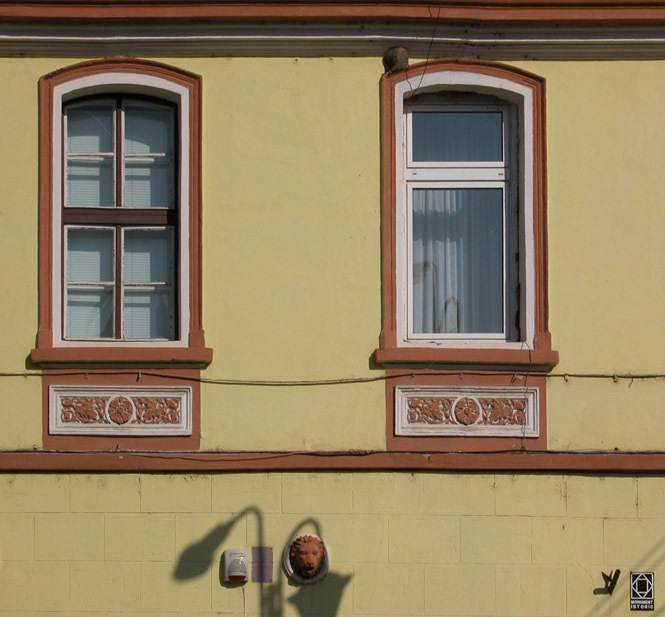 The new installation lacks character being a serial product. 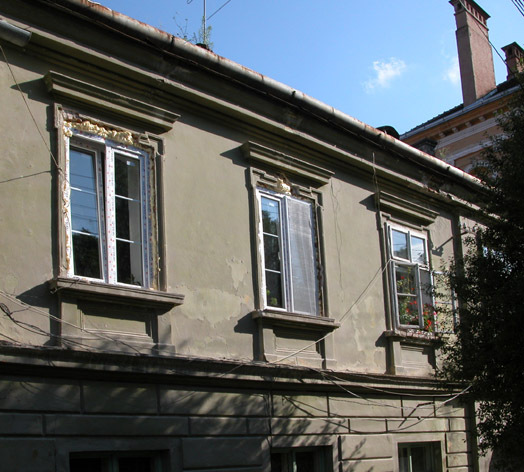 The surrounding plaster and ornamentation has been badly damaged. The new single-layered window (with double-glazing) caused a heat bridge and as a result the masonry on the inner reveal is getting mouldy, because of moisture condensation.